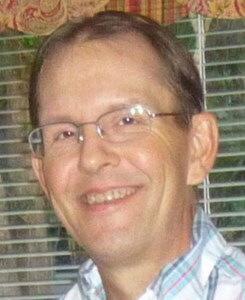 Scott Douglas Crum, age 54, of Port St John, Florida passed away on Sunday, February 10, 2019 at Holmes Regional Hospital. Scott was born in Ypsilani, MI, later moving to Hillsdale County, MI, where he attended Waldron High School and graduated from Camden Frontier High School. After graduation he worked as a Machinist for Metalloy Auto Parts Manufacturing Company in Hudson, MI. He came to Port St John from Hillsdale County in 2004. He enjoyed woodworking and fishing. Preceded in death by his father: Sheridan "Bud"; he is survived by his mother: Suzanne of Port St. John, FL; brother, Tod of Bryan, OH; aunt and uncle: Jim & Jo Russell of Port St John, FL; a niece and nephew: Heather and Travix of Bryan, OH; and many cousins. To share your memories of Scott or leave a special condolence message for his family, please click the Share Memories button above. Add your memories to the guest book of Scott Crum. Sue and family, I am so very sorry to hear of Scott's passing. He was a wonderful person. He was always willing to help everyone whenever needed. I have several of his wonderful woodworks. I will cherish them forever. My continued thoughts and prayers will continue to be with the family. My deepest sympathy goes out to Aunt Sue. More than just a great Mother to Scott! Scott was a fighter and had a strong will to live. My fondest memory with Scott is the week long trip we made to Huntsville Ala to visit family. A enjoyable time. God Bless.